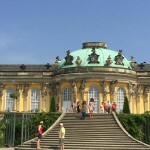 The castle and the park Sanssouci are one of the best known and most popular sights of Potsdam. The beauty of the building and the wonderful gardens are truly enchanting. 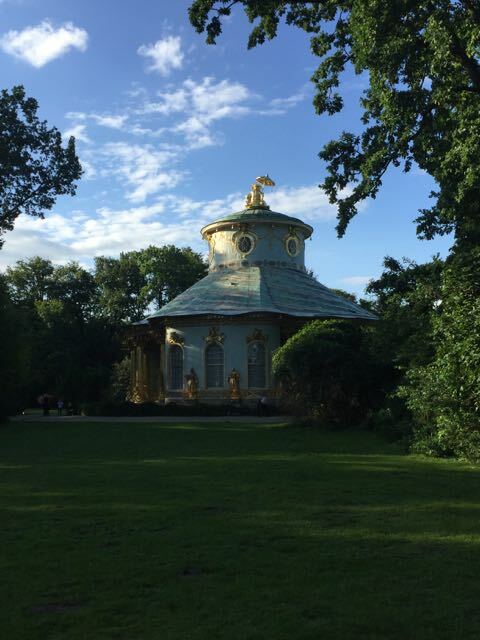 Not for nothing is Sanssouci is also called the Prussian Versailles. The castle was planned by Frederick the Great. It served him, far away from the public, courtly life of the Berlin City Palace, as a place of rest. 1743 Frederick the Great created the first the designs for the castle, which would soon become his summer residence and favorite castle. He handed the plans over to the architect Georg Wenzeslaus von Knobelsdorff, who had some difficulty implementing them according to the very precise ideas of the king. The construction lasted only two years, from 1745-1747. 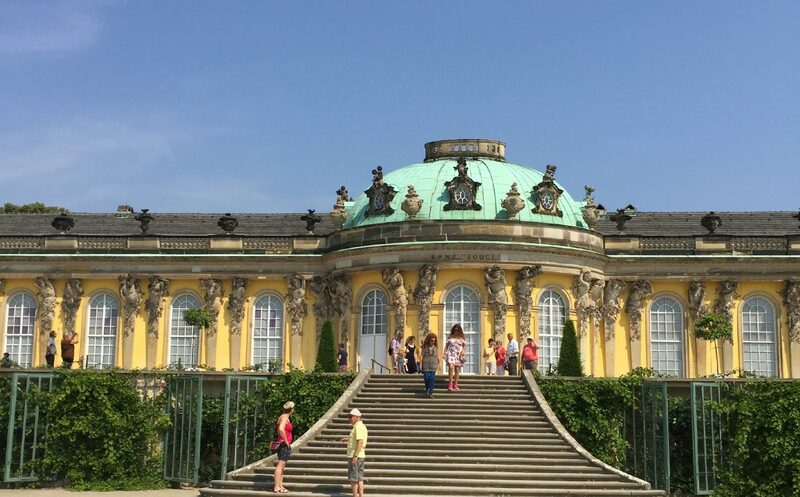 Sanssouci (for the French sans souci – without worry) is a relatively small castle and was intended only for the stay of the king and some selected guests. Here he spent time with his beloved dogs, made music, philosophized and received such illustrious guests as Voltaire. Of course, he also took care of state affairs, but the castle served the private life of the king and was not meant for representation. From his wife Elisabeth Christine of Brunswick, he separated spatially after his accession to the throne and assigned her the castle Schönhausen in the north of Berlin. The king, who was considered to rather fancy men organized his life without women. 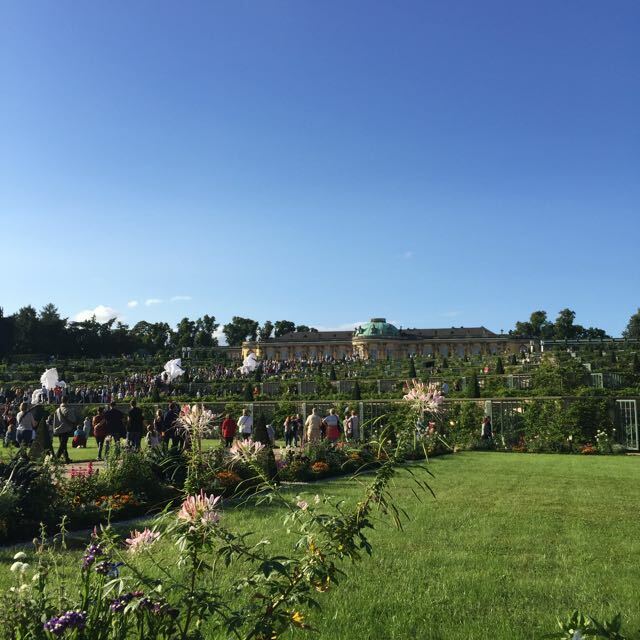 His love for nature was expressed by Frederick the Great with the layout of his castle garden. He created the garden himself as a terraced vineyard and grew other crops there as well. Only a part of the garden were adorned with flowers and a fountain, which was very unusual for the time. The king loved the palace so much that he wanted to be buried there. Only in 1991 did his wish come true when his body was transferred. Since then, the grave designed by himself, serves as his last resting place. After his death, the castle was only rarely inhabited, but 1840 changes and extensions were made to the castle. The old side wings were replaced by larger ones. In 1873 Wilhelm I declared it a museum, making it one of the oldest museum castles in Germany. Fortunately, the castle was not destroyed during the Second World War, so today you can admire the beautiful architecture in the original. The interior of the castle is worth seeing. It could partially be preserved in the original state and was otherwise replaced by good replications. Due to the beautifully designed rooms and the many old furniture you get a good impression of the elegance of former times. Particularly impressive is the view of the castle from the garden below. Countless gardeners take care of the 300 hectare park. Walking through it takes a lot of time. In the park you can see many statues and smaller buildings, such as the pretty Chinese tea house. A very special building can be admired directly next to the castle. 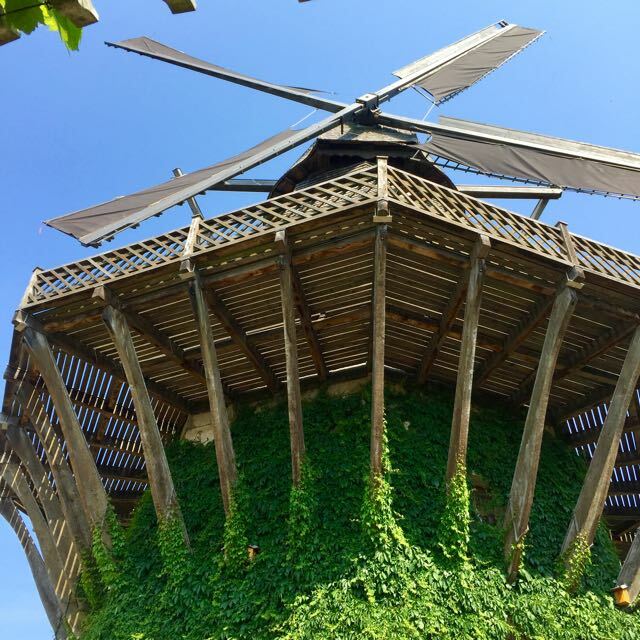 There is an old mill that had already been built when Frederick the Great was planning his castle. He did not demolish it, but rather preserved it, where ist still stands, right next to the castle. If you want to visit the inside of the castle, you can book tickets in the online shop. Opening hours: April - October: Tuesday to Sunday 10 a.m. until 6 p.m. November – March: Tuesday to Sunday 10 a.m. until 5 p.m.